The specified file public://inline-images/https_%2F%2Fs3-us-west-2.amazonaws_8_0.jpg could not be moved/copied because no file by that name exists. Please check that you supplied the correct filename. Update: The Washington Post adds to the reports that President Trump will also impose tariffs on Mexico and Canada and will take effect on Friday. Time's up! A month ago, President Trump delayed his EU steel and aluminum tariffs decision and as of Friday, that deadline is over and the US allies across Europe will face big decisions on retaliation. 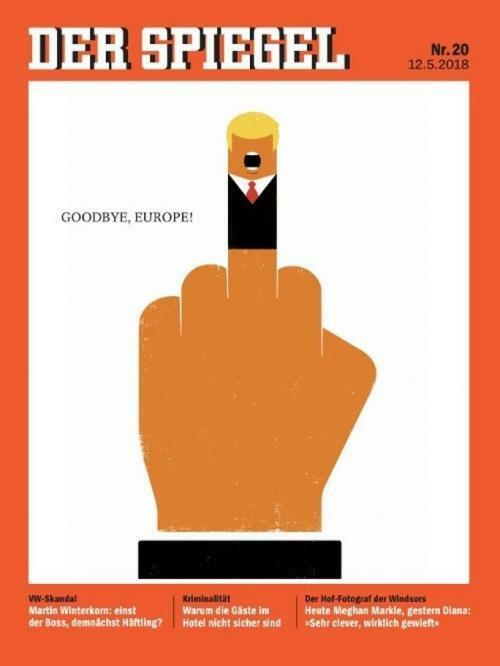 Amid threats from various European leaders - and the potentially unipolar world order repressing blowback from Trump's Iran decision and subsequent sanctions - The Wall Street Journal reports that the Trump administration, unable to win concessions from European Union counterparts ahead of a Friday deadline, is planning to make good on a threat to apply tariffs on European steel and aluminum, according to people familiar with the matter. However, one person familiar with the matter said the administration’s plans could still change, particularly if the two sides are able to cobble together a last-minute deal, though both sides suggest such a deal is unlikely. 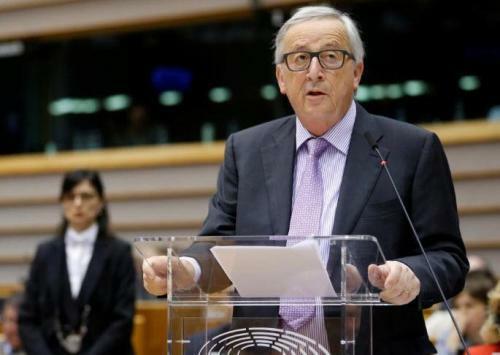 This won't go down well with Mr Juncker who previously said he will not accept threats in talks with the United States to secure a permanent exemption from U.S. import tariffs on steel and aluminum. “I would like to reiterate the call that this exemption be made unconditional and permanent. We will continue our negotiations with the United States, but we refuse to negotiate under threat." Will the EU dare to break US sanctions on Iranian oil...or Iranian business deal... as retaliation for these tariffs? In fact, the European Commission has already begun the process of activating a law that bans European companies from complying with U.S. sanctions against Iran and does not recognise any court rulings that enforce American penalties. "As the European Commission we have the duty to protect European companies. We now need to act and this is why we are launching the process of to activate the ‘blocking statute’ from 1996. We will do that tomorrow morning at 1030,” European Commission President Jean-Claude Juncker said. Speaking at news conference after a meeting of EU leaders in Bulgaria, Juncker added that he "also decided to allow the European Investment Bank to facilitate European companies’ investment in Iran. The Commission itself will maintain its cooperation will Iran." 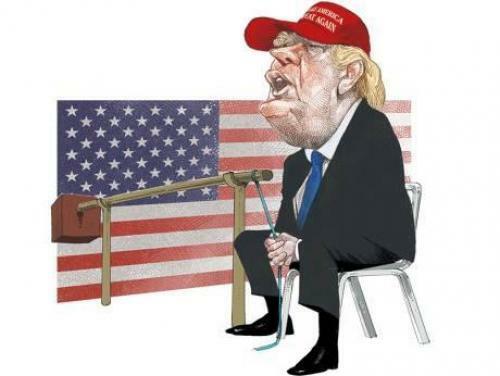 Europe's hardline position likely infuriated Trump, as Brussels is effectively nullifying US sanctions - and potentially has prompted Trump to stay tough on the tariffs - who needs Europe on his side for US sanctions of Iran to have any chance of succeeding. But frankly, EU should be grateful. Thanks to him we got rid of all illusions. We realise that if you need a helping hand, you will find one at the end of your arm. "